Shutters have the natural warmth, distinctive charm and timeless elegance that make them the perfect choice of treatment for any window. All American Heritage Shutters are custom made from scratch and are available in single hung, double hung, and half hung (café) styles. 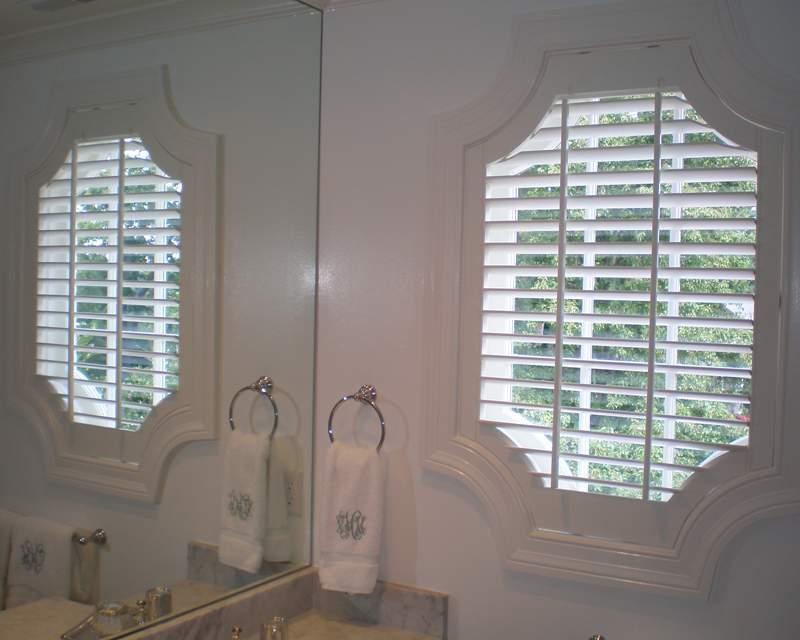 Our shutters can be made in virtually any shape or size, allowing you unlimited creativity. Hand-crafted and hand-finished from quality hardwoods, our shutters are available in a full palette of unrivaled finishes. Ranging from natural stains to high-tech paints, we offer you the opportunity to effectively match any paint, wallpaper, stain, or fabric. An Enhancement to any room.. Whether your personal style is bold or traditional, custom wood plantation shutters offer the combination of beauty and practicality. American Heritage Shutters offer protection from the sun, while adding to the elegance of your home. 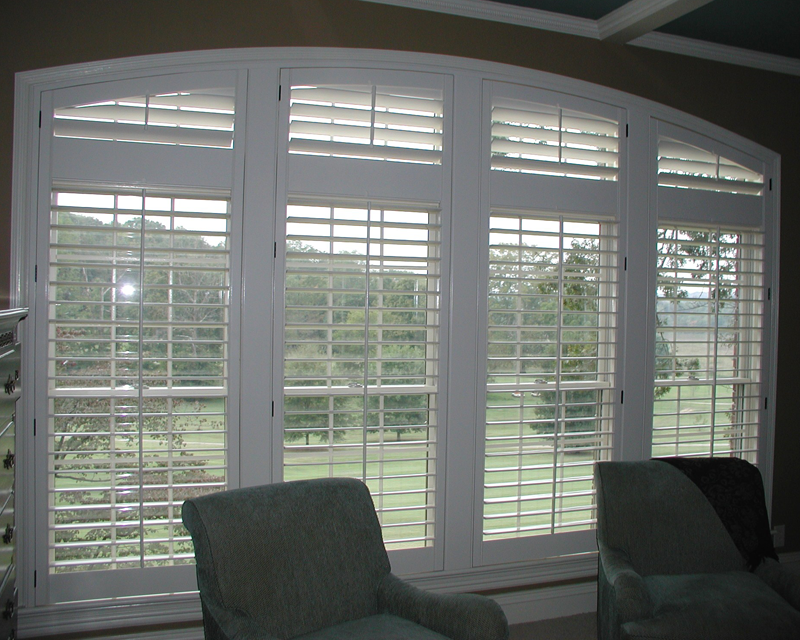 American Heritage Shutters are made to fit your windows and your personal taste. Our unmatched engineering design features afford us the ability to provide just the right window treatment for every room in your home, while ensuring against light leakage. We use only the finest materials to make American Heritage Shutters—Basswood, an American hardwood from the Great Lakes region. It is the lightest of all hardwoods and provides the unsurpassed quality we guarantee in every shutter. 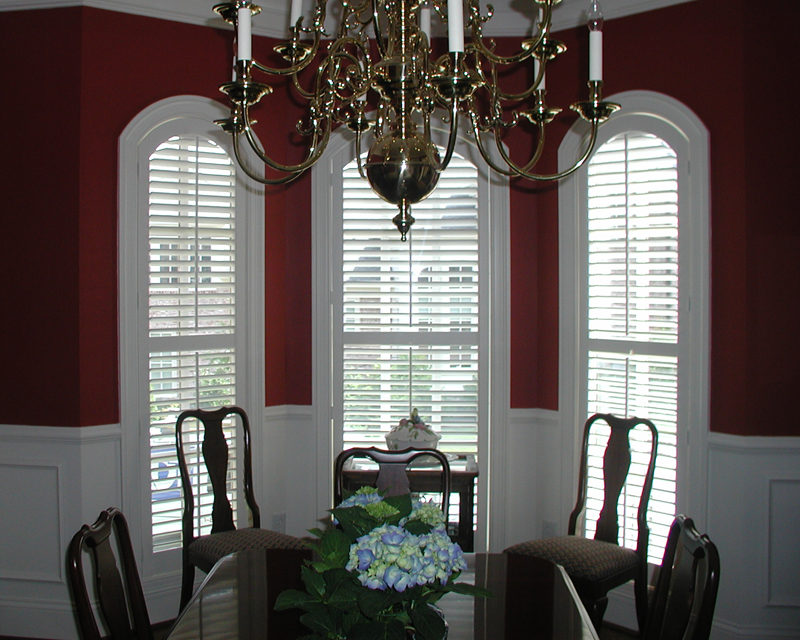 We also construct shutters from other timbers, such as oak, mahogany, cherry, maple, poplar, and walnut. Our finishing process is the same used to finish fine furniture. 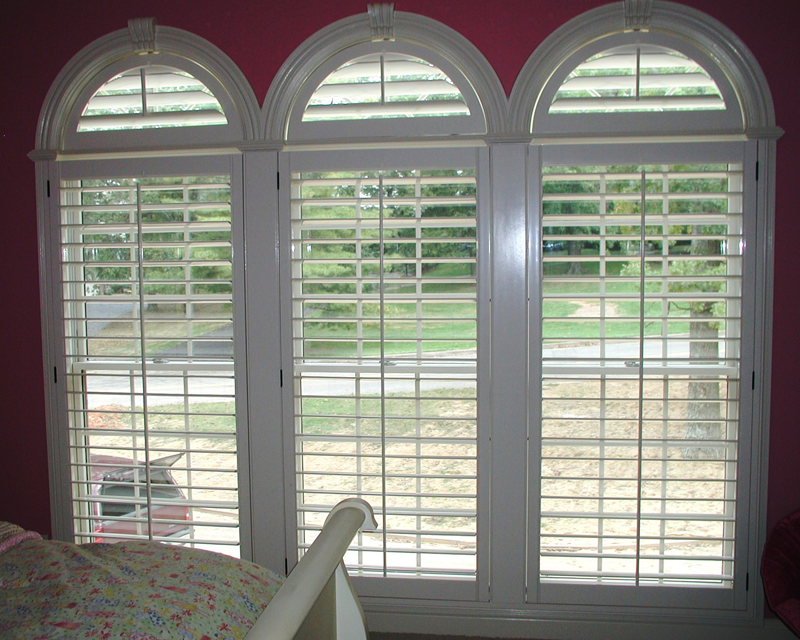 The result is the smoothest and most beautiful shutter available in the industry. We believe in quality. We also feel a warranty should actually mean something. In a world of “limited lifetime warranties” and “restrictions may apply,” our shutters are warranted to be free from defects in workmanship and materials for as long as you own them.